The HPE 5820 Switch Series offers a versatile and high-performance 1 / 10GbE rack-mount data center switch architecture that allows you to deploy flexible. 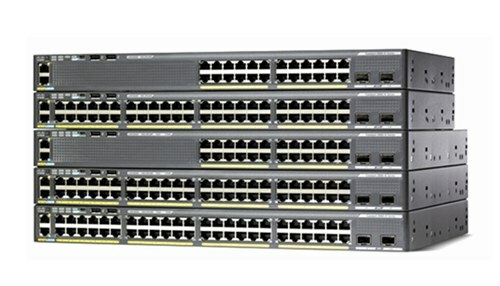 The series offers a variety of models that support high performance and low latency, allowing you to deploy the switches that best suit your needs. The series uses Smart Elastic Architecture (IRF) to simplify switch management by up to 88%. It can provide fusion time of fewer than 50 milliseconds. You can provide high performance and lower total cost of ownership (TCO) with the 5820 switch series while providing business recovery and high availability. The flexible and high-performance HPE 5820 switch series is suitable for 10GbE and 1 / 10GbE deployments by used as a ToR switch in the data center. It is easy to use and offers lower total cost of IT ownership. All transceivers and DACs listed in the tables are manufactured by industry standards and the MSA (Multi-Source Agreement). More importantly, you could order them with high quality and 100% compatibility at an affordable price from Fiberland, and save your money on overpriced optics. Fiberland recommends IT manager choosing the compatible transceiver and cabling solution from 3rd party vendor, and will be glad to offer our expertise in choosing the fiber infrastructure gears that best meets your needs.